This post may contain affiliate links, but all opinions are my own. Please read my disclosure policy for more information. 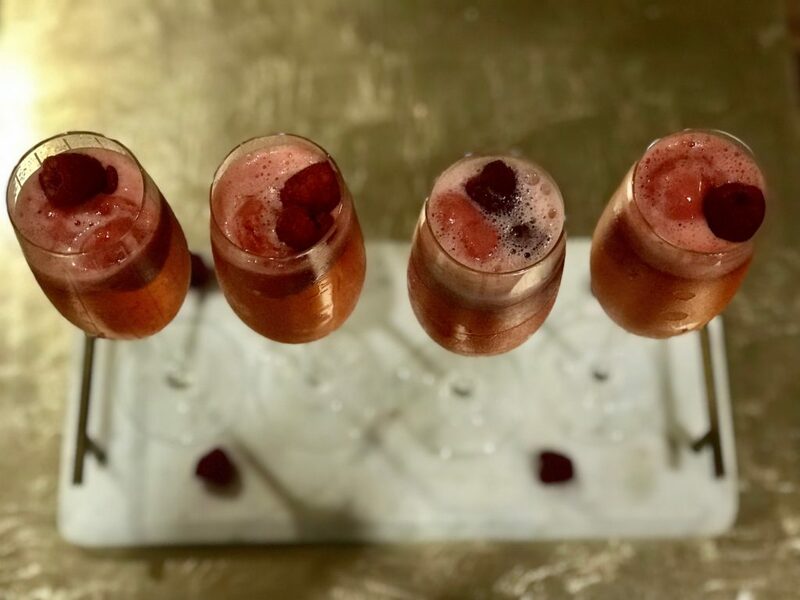 Holiday parties are in full swing and I always love serving beautiful dishes and drinks! 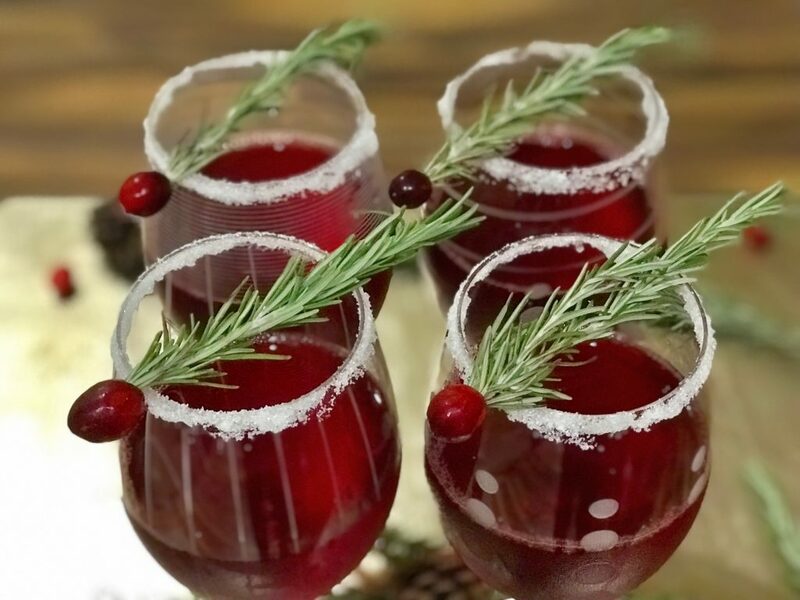 I recently shared one of my favorite holiday cocktail recipes to the blog, Christmas Sangria! It is so tasty and my friends always ask me to please make it or bring it to our Christmas parties. 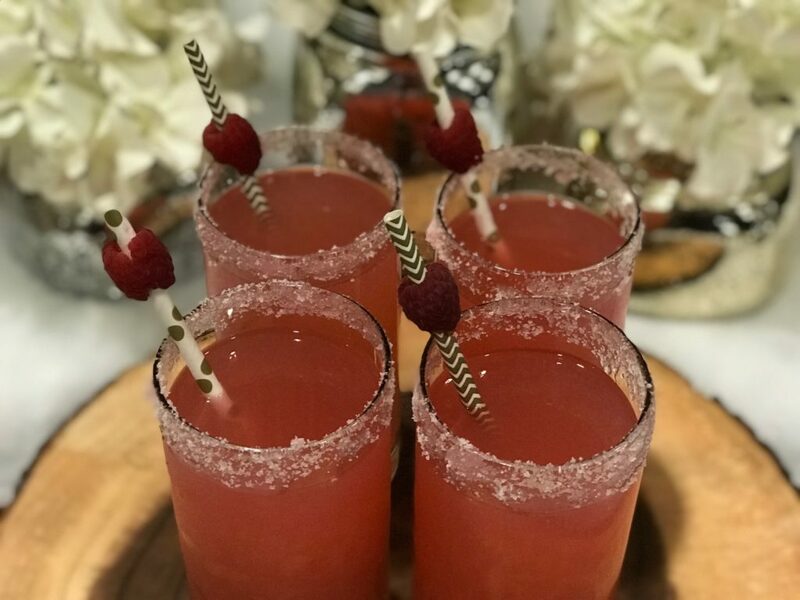 This made me want to experiment with more delicious drink recipes for the holiday season and, as more of my lovely friends are having babies, I have been experimenting with delicious mocktail recipes as well! 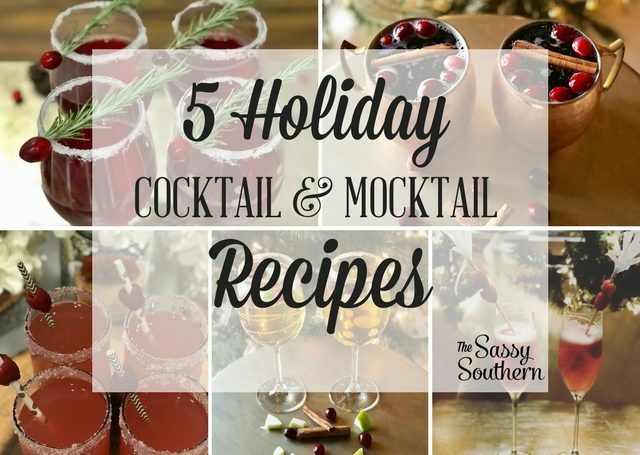 Here are 5 holiday cocktail and mocktail recipes to enjoy this holiday season! 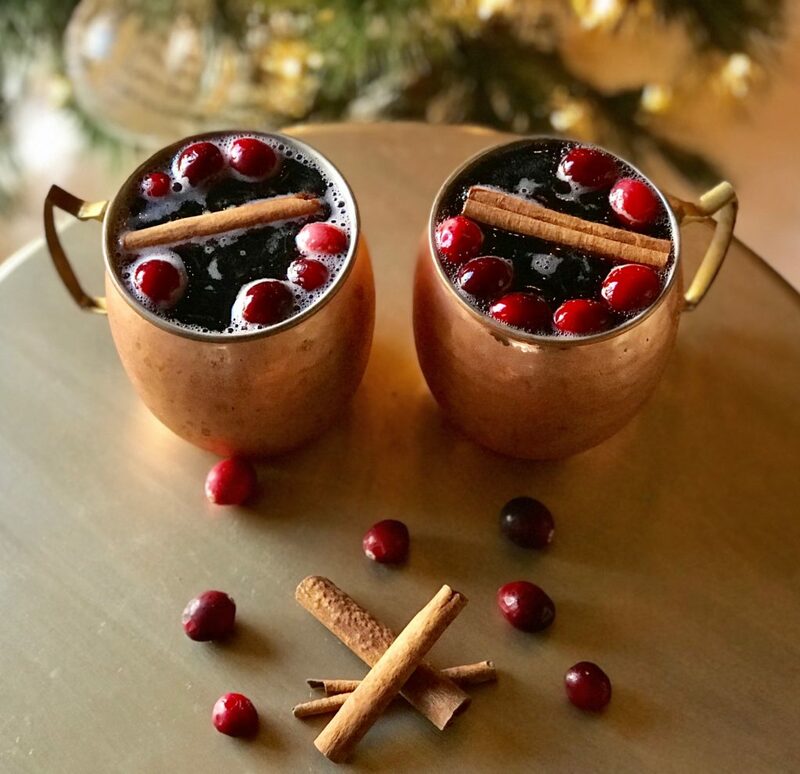 This might be my new favorite holiday cocktail! Rim the edge of your glass with sugar. Mix equal parts Cranberry Sprite and Cranberry Juice, and add the Coconut Rum to your liking. I usually do a shot per serving for parties and then guests can add more if they wish! Also, can we please talk about how GORGEOUS these Mikasa Cheers Wine Glasses are? I even have the matching Christmas ornaments! 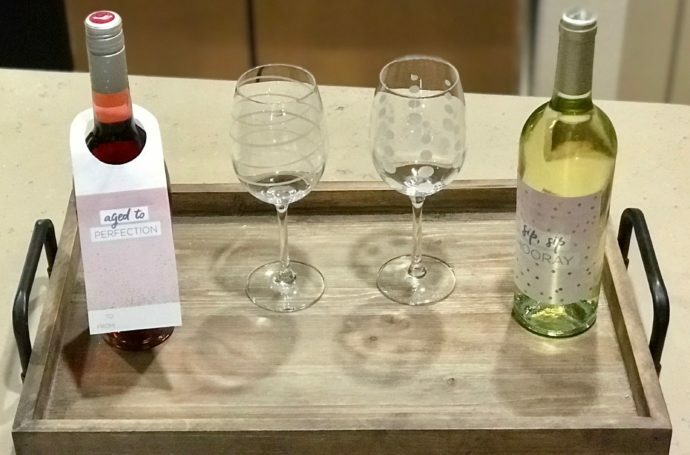 They are perfect for entertaining because each glass has its own pattern and they look stunning! Okay, back to the recipe. 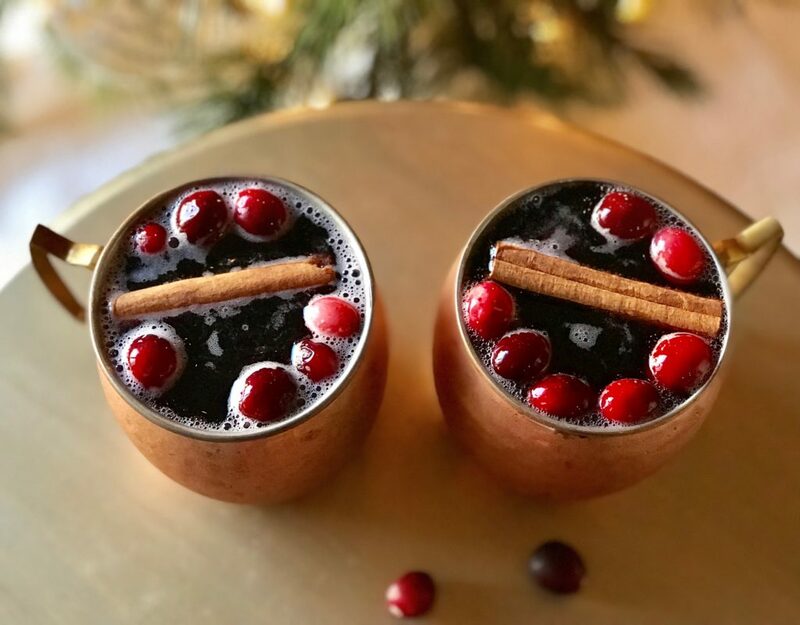 This is one of my new favorite holiday mocktails! The Coconut Lacroix gives you a hint of coconut just like the rum does in the cocktail version. It is absolutely delicious and looks fabulous! This punch is absolutely delicious! 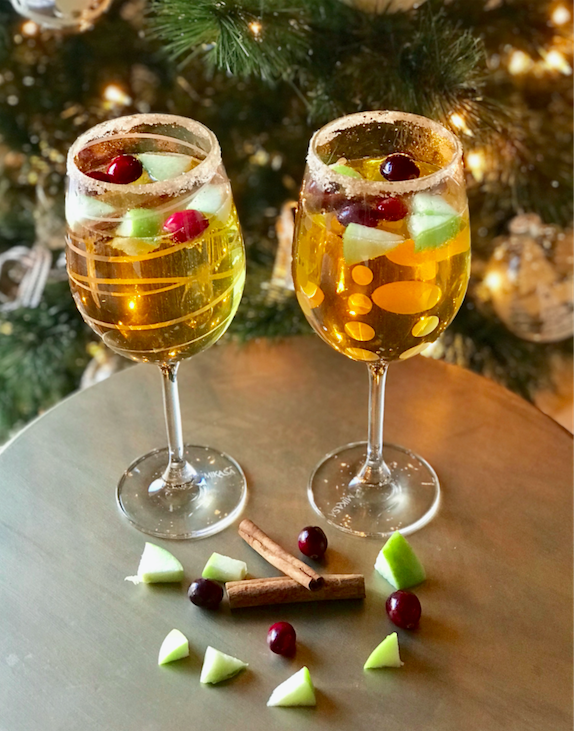 The cinnamon stick gives the perfect amount of cinnamon without overpowering the drink and the sparkling cider and Moscato blend beautifully with the cranberry. I like to pour half a glass of Moscato and add equal parts Cranberry Juice and Sparkling Cranberry Apple Cider. 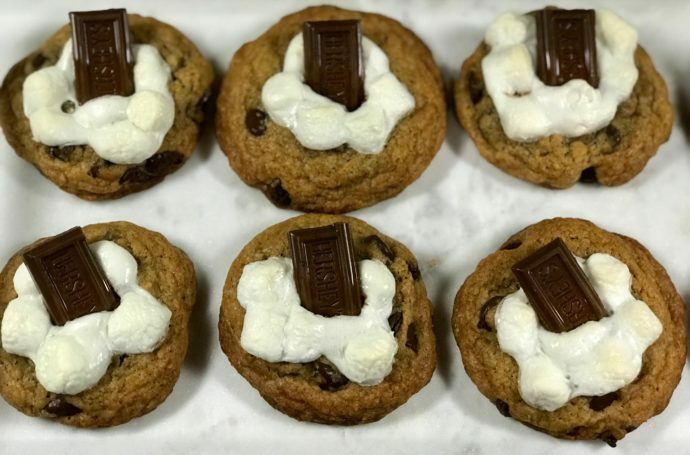 This is definitely a tasty holiday treat! This drink is just as yummy without the Moscato! Make it a delicious mocktail by adding Giner Ale instead of wine. It is so refreshing and will definitely put you in the holiday spirit! This Sparkling Raspberry Lemonade is SO delicious! 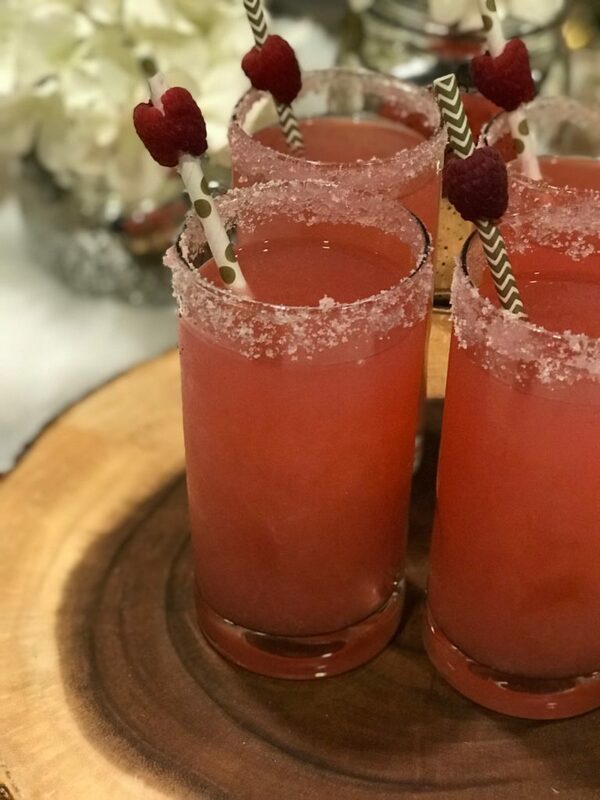 Rim the glass with a Cosmopolitan Sugar Rim. I bought mine from our local liquor store. Add equal parts Raspberry Lemonade and Sprite with two shots of Coconut Rum, or to your liking. Add a fresh raspberry to your straw and enjoy! This is one of my favorite non-alcoholic drinks ever! I love to have restaurants make this as a treat! Just mix the Raspberry Lemonade with the Sprite and rim the glass with cosmopolitan sugar. It will definitely be a hit for all of your mocktail loving guests. 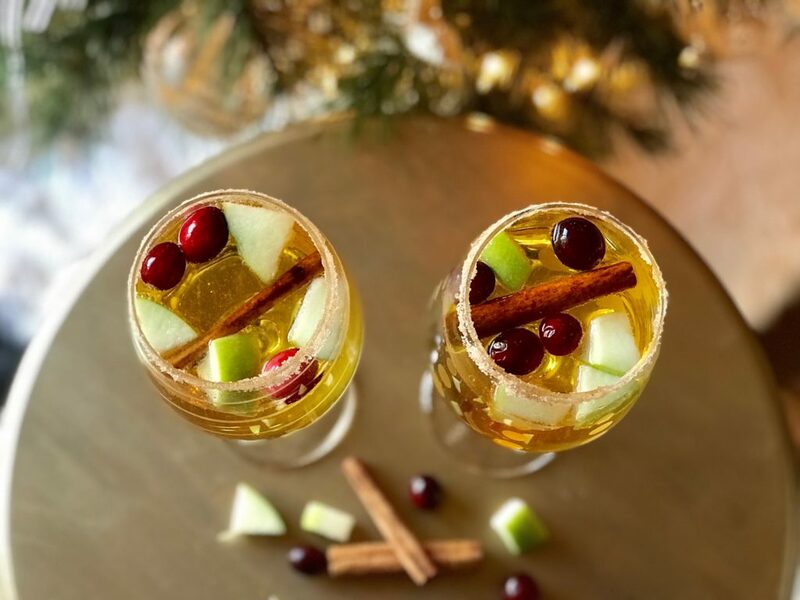 If you love apple pie and vanilla ice cream, you will love this holiday cocktail! Rim the glass with cinnamon sugar. Add two shots of Vanilla Vodka (or your preference) and fill the rest of the glass with Sparkling Apple Cider. Top it off with green apples, cranberries, and a cinnamon stick. You can still have the taste of apple pie with vanilla ice cream without the Vodka. Instead of Vanilla Vodka, just add a vanilla syrup or flavoring to make it a mocktail! It looks absolutely stunning and tastes even better! 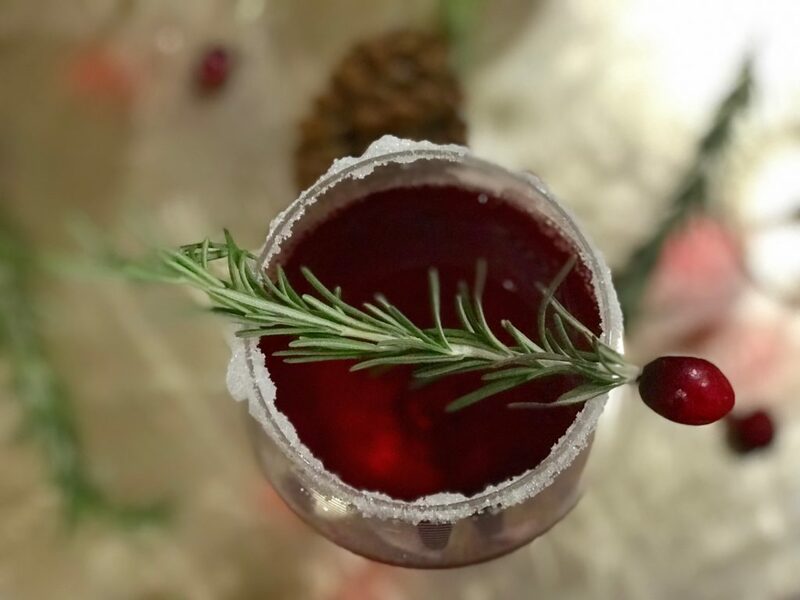 This holiday cocktail is perfect for Christmas and New Year’s Eve! It is also extremely simple! 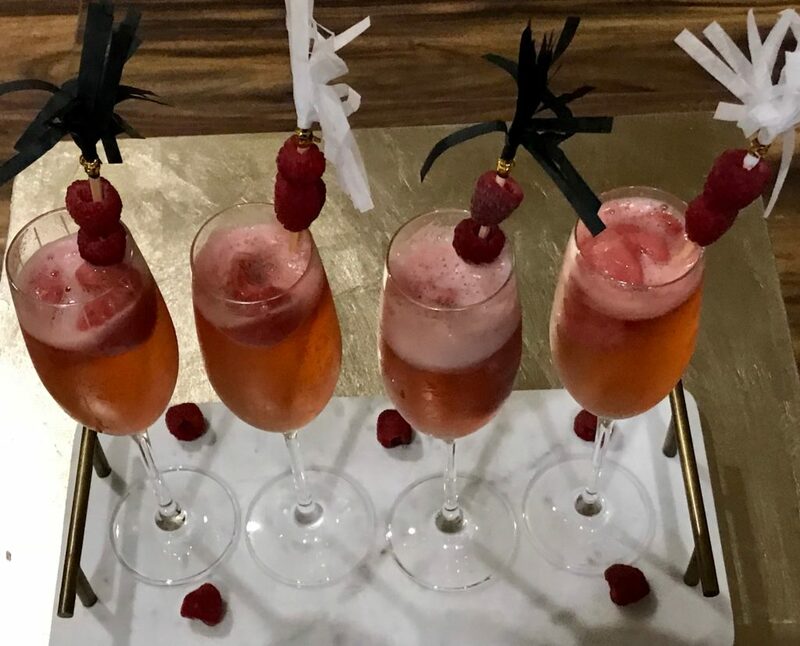 Add raspberry sorbet to a champagne glass and pour in the Prosecco! This drink looks amazing and tastes soooo yummy! If you are wanting an extra special treat for Christmas morning, add orange sorbet instead of rasperry sorbet for a yummy Mimosa! If you want the fizz and glam of this drink without the alcohol, just add Ginger Ale instead of Prosecco! 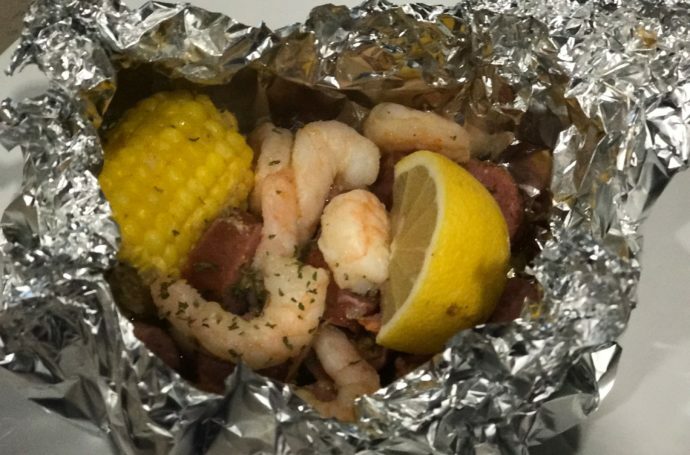 It is still so tasty and is perfect for all of your guests! This is also a really fun mocktail for the kiddos! Watch this tutorial to make each cocktail at home! Which holiday cocktail or mocktail are you going to try this season? Please remember to always drink responsibly. Cheers! Thanks for visiting The Sassy Southern! 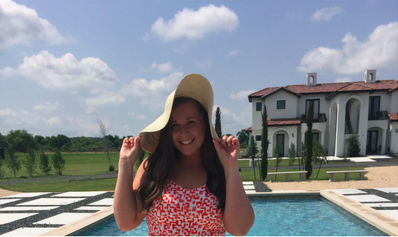 I am a lifestyle blogger who loves finding ways to make life more organized and beautiful! 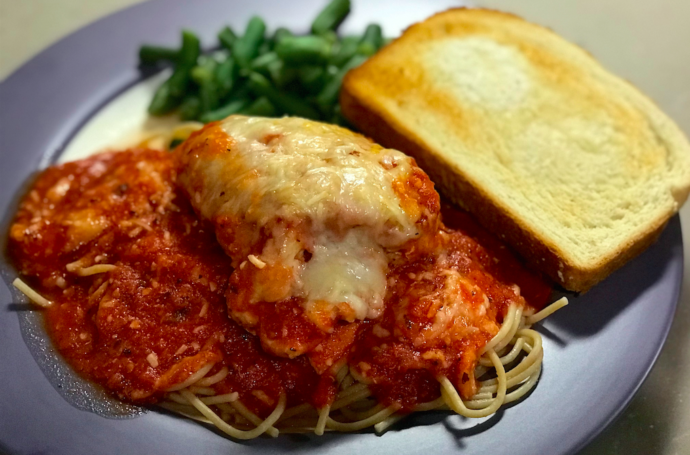 Stop by again to see my latest recipes, party ideas, and home decor tips! Not only do these all sound amazing, they look so festive and fancy! Your drink recipes are a definite must for my Christmas dinner! Yaas! This year I’m mocktailing it, but next year I sure will try the cocktails! I’m Mollie, a 20-something southern girl, lover of all things organized and pretty, party planning fanatic and confessed sweet tea addict. I planned the wedding of my dreams and married my hunky husband in 2016! 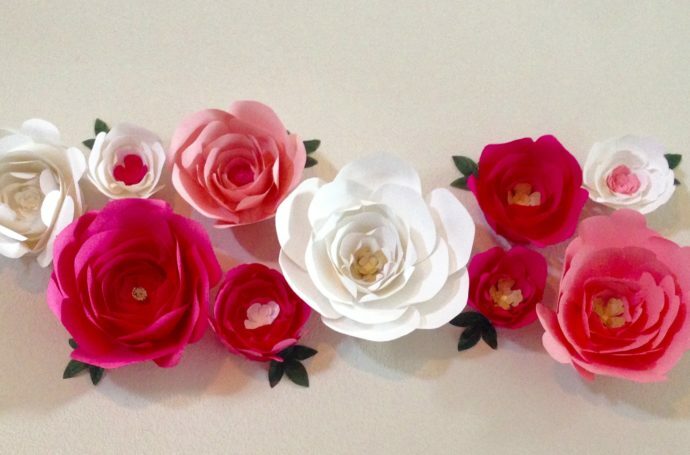 I LOVE all things party planning and I have a passion for making life fun and beautiful. I’m so excited that you stopped by my blog and I can’t wait to share all of these things with you! Keep it sassy, but classy! Keep It Sassy But Classy! The Sassy Southern is a participant in the Target Affiliate Marketing Program, an affiliate advertising and marketing program that pays advertising fees to sites that advertise and link to Target.com and affiliated sites. 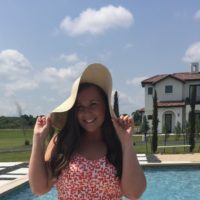 The Sassy Southern is a participant in the Amazon Services LLC Associates Program, an affiliate advertising program designed to provide a means for us to earn fees by linking to Amazon.com and affiliated sites.